Talipes: What Causes Club Foot In Babies? Talipes describes the unusual position of the foot, commonly called club foot. The condition affects boys twice as much as it does girls, and 1 in 1,000 babies are born with it. Ultimately, club foot is very treatable because your baby is born with flexible bones and tendons, and early intervention can make all the difference. What is talipes (or club foot) in babies? Club foot is a condition in which babies are born with their feet turned inward. The feet might be turned to the side or rotated so the soles face upward. About half the babies who are born with club foot will have both feet affected by this condition. The feet turn inward because the tendons connecting the muscles to the bones are shorter than usual. How common is club foot? It’s pretty common. No one really knows what causes the condition, but since it tends to run in families, there may be a genetic component (It’s possibly caused by anomalies on the 17th chromosome). However, clubbed feet may also be affected by environmental factors or even the baby’s position when it was growing. Ultimately, if there is a history of club foot in the family, the likelihood of your baby having the condition increases. Are clubbed feet painful for my baby? No, clubbed feet are not painful for your baby at first. It’s just a case of shorter tendons. However, if the condition is left untreated, it won’t just go away by itself. Children who don’t receive treatment have to walk on the sides or tops of their feet. The calf muscles tend to be shorter and less well-developed than average, so walking, running, and normal playing presents more of a challenge. Are clubbed feet linked with other conditions? Clubbed feet are sometimes linked with other conditions. 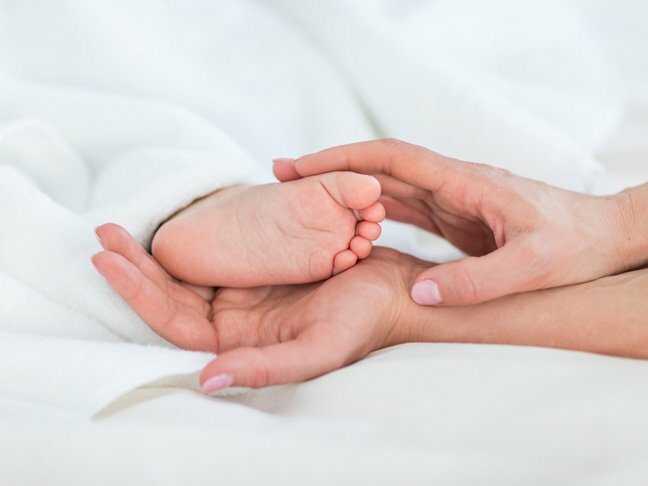 Children with spina bifida or brain injury affecting the muscles, nerves, and bones can have club foot, which is why if your baby is born with this condition, your doctor will want to rule out those possibilities. Can club foot be corrected? It can be corrected, especially if treatment begins as early as two weeks. Using a method of gentle stretching and plaster casts, a doctor can manipulate your baby’s soft tendons and bones into the right position. At that point, the baby’s legs are put into plaster casts to keep them in place. That process is repeated for a number of weeks. The Achilles tendon may need to be cut in order for it to rejoin in the right place for your baby’s normal development. Basically, the method works a lot like the braces you might have had on your teeth — a slow process of gradual movement and repositioning. Ultimately, club foot is very treatable. Luckily, your baby is born with flexible bones and tendons, and early intervention can make all the difference.